One Stop Shop | WhiteStone Kitchen Supply Inc. Your New One Stop Shop for Professional Chefs & Home Cooks! Whitestone Kitchen Supply Inc. is a supplier of Restaurant Equipment, chef supplies, catering supplies, bar supplies, bakery supplies, janitorial supplies, packaging & disposable supplies, and home kitchen supplies. Our mission is to be a true “ONE STOP” supplier for our customers, professional chefs and home cooks. We take great pride in offering you personalized, friendly and helpful advice on your purchases. We understand that buying restaurant equipment is often a big and unfamiliar decision for many people and our team features many former professional chefs who have first-hand experience in many of the products we sell. We have a large range of commercial restaurant equipment including deep fryers, dishwashers, freezers, grills, hot plates, Ice makers, mixers, oven, ranges, refrigeration, slicers, blender, steamers, food display & merchandiser, food warmer, and pasta cooker and lots more. We have a huge range of small-wares including baking supplies, bar supplies, cookware, chafing dishes & food warming equipment, chef hats & uniforms, kitchen utensils, cutting boards, food storage solutions, food pans, and kitchen knives and more. We stock a large range of flatware & serve-wares including dinnerware (We stock a huge range or our unique dinnerware), flatware, glassware, food & serving baskets, spice mill & shaker, table décor & accessories and serving items and more. You will find a large range of cleaning & Hygiene products from cleaning chemicals, bathroom supplies & accessories to cleaning supplies, closet organizers & tool holder, floor mats, floor maintenance, trash cans & containers and lots more. When it comes to Packaging & disposable products, we have foam containers and cups, plastic containers and cups, paper containers and cups, food packaging, disposable cutlery, garbage bags, napkins, straws, paper towel and disposable host and server supplies and more. For the foodies who love to cook, we have a large range product including cookware, baker-ware, small kitchen appliances, kitchen gadgets & tools, barware, drinkware, flatware, BBQ cooking and storage & organizations and more. 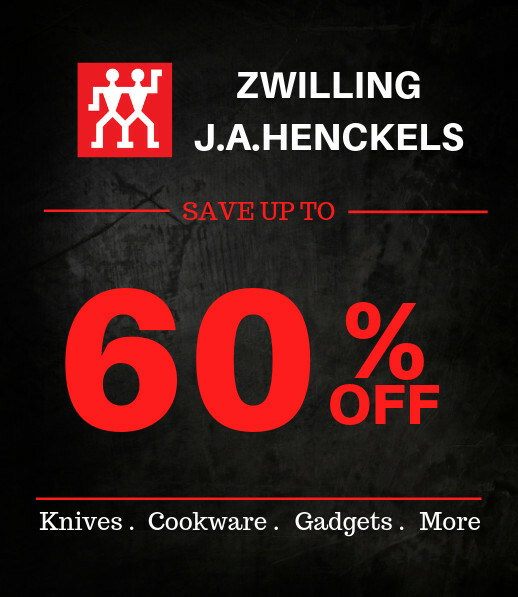 Some of our popular brands include Zwilling J.A Henckels, KitchenAid, Cuisinart, Oxo, Tiger, Wuthof and more. There is something here for everyone! We look forward to serving you at Whitestone Kitchen Supply. Click here to visit our contact us page.